Whether you’re uploading or creating mobile PDFs, the choice is yours in terms of how you’d like to use the PDF. Some companies put PDF books on their mobile apps to sell, while others are more interested in keeping a database of internal business guides on a mobile interface. We think this new feature is one that every small business should look into for spring cleaning. For example, it would be nice to have a new employee manual, and instead of printing it out, giving new employees a link for them to download on a phone. Regardless, the PDF Reader Content Management App is a new feature from iBuildApp, and it has quite a few features that come in handy for different purposes. What’s the point of using this feature? Now that we’ve had a chance to discover what the PDF Reader Content Management feature does for an app, keep reading to learn about how to add a PDF, HTML or website to your app. Your best bet it to start by going to the backend of your iBuildApp dashboard. Get logged into your account, and navigate to the My Apps section. Select the Edit button once you decide on the particular app you would like to modify for with this feature. Upon landing on the Edit page, you’ll see a Layout tab that you can go to. Find the area you’d like to include the new feature on and hit that particular Add Feature button. This gives you a big list of the features provided. When you locate the PDF Reader Content Management option, go ahead and click to install. 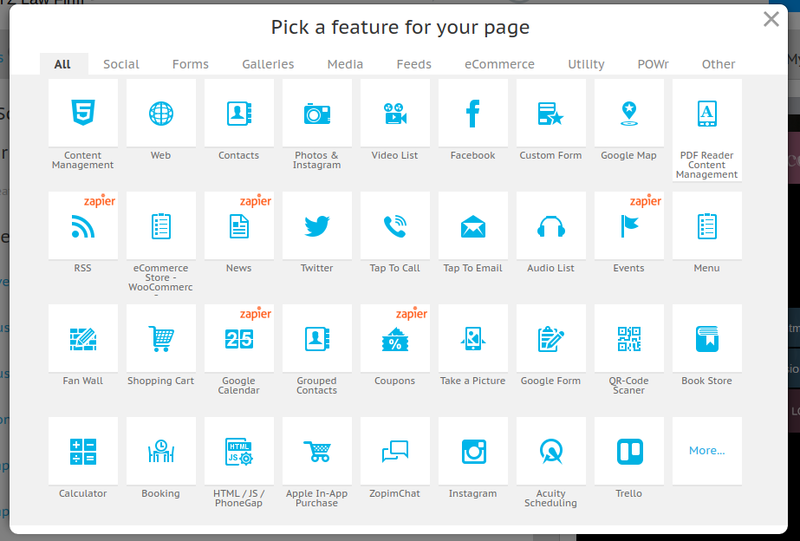 You also have the option to start the installation at the feature page. 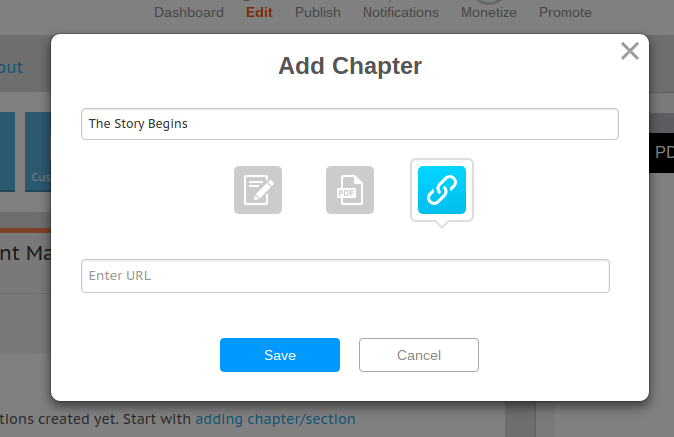 Most of the work that goes into making a little chapter book in your app is going to happen from one page. The feature is fairly simple, but we’d like to go over the three different ways for constructing a PDF book in your app. The first one is going to be through an HTML editor. There’s nothing complicated about it, since it pretty much looks like what you would see in WordPress. Click on the green Add button to get started. This shows a few options for when you’re trying to decide which way is best for making your mobile PDF. The first button is the HTML editor. 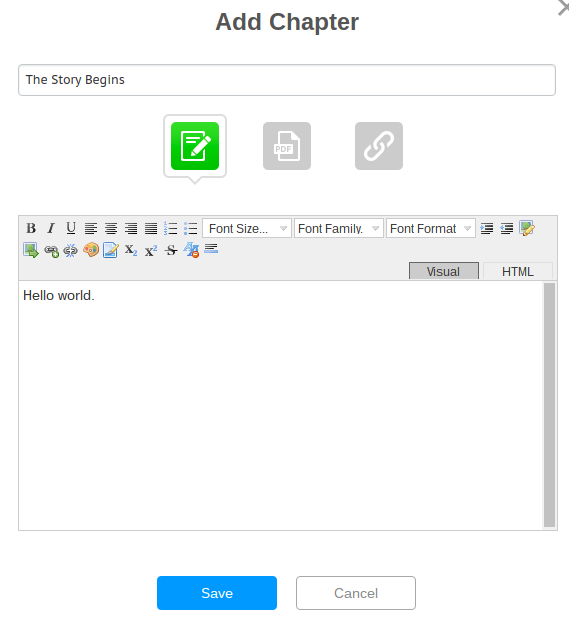 It’s the most basic, since you can name a chapter and start writing that chapter right through iBuildApp. Feel free to paste in content from another source, or use this editor to generate little chapters of your own book. 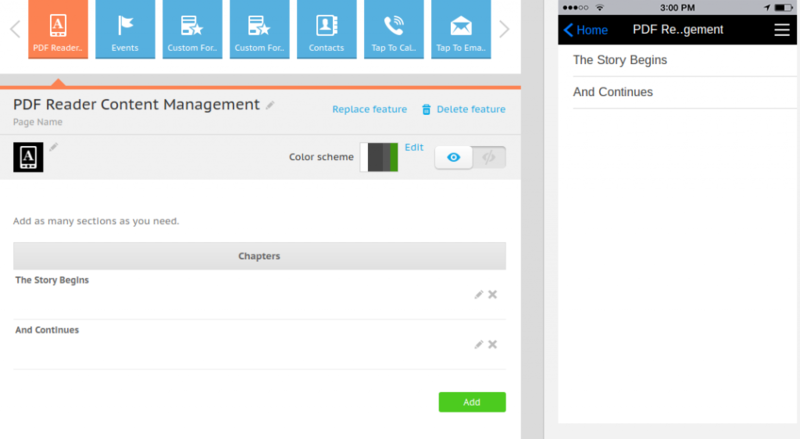 After developing a solid chapter, click on the Save button. The second way to generate a viewable PDF on your app is by uploading files from your computer. 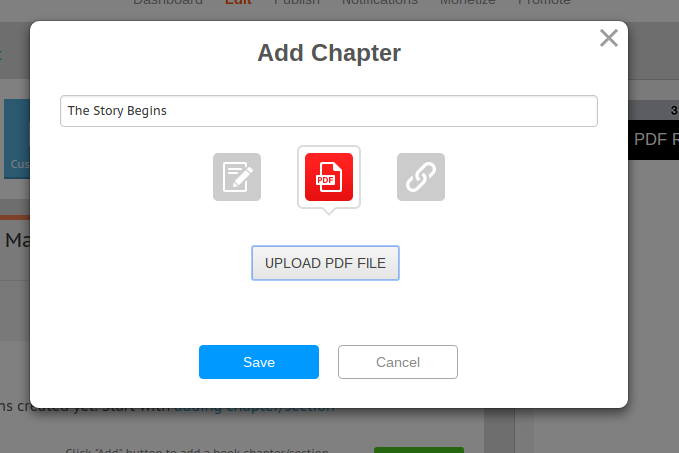 You must do this chapter by chapter, but it only takes a moment to get your files uploaded into the app. Finally, you may have some of your PDFs or other documents hosted on a website somewhere. Therefore, another solution for getting your PDFs on an app is by copying and pasting the URLs. All you have to do is hit the Save button to see the result. There you have it! 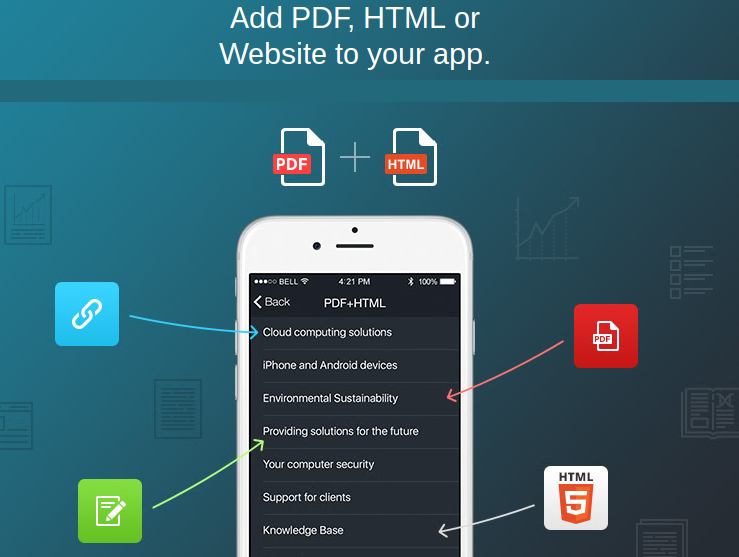 Showing a PDF on a mobile app comes in handy for everyone from authors to business people. Heck, you’ll even want to use it for internal purposes. Let us know in the comments section if you have any questions about how to make a PDF through your app.